LG has confirmed through a blog post that it will be launching its next flagship smartphone, the LG G7 ThinQ at an event in New York on May 2, which will be followed by the launch in South Korea on May 3. The ThinQ moniker itself is enough for us to imagine that the device will feature various Artificial Intelligence (AI) capabilities, same as the LG V30S ThinQ which was launched at the MWC 2018 event. The G7 ThinQ will be codenamed as Judy, as we reported earlier and it will come with top-of-the-line hardware like the other 2018 flagship smartphones. Before LG announcing the official launch date, Android Headlines leaked the official press render of the smartphone. Going by the image, the G7 ThinQ will be available in Raspberry Rose, Moroccan Blue, Moroccan Blue (Matte), Platinum Grey, and Aurora Black colour options, but not all will be available at the launch. And some colours will be limited to the Korean market only. The report added that Aurora Black colour option might be the global launch variant, meaning it will be available in every country where LG decides to launch the smartphone. 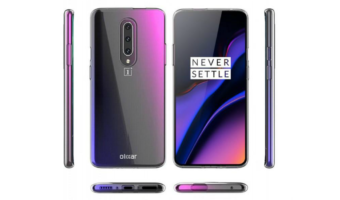 The render also revealed the design of the smartphone. 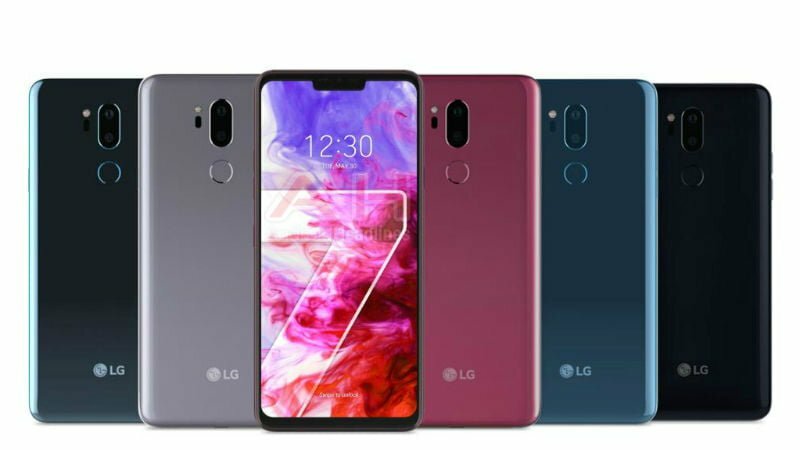 The LG G7 ThinQ will arrive with the Apple iPhone X-like notch on the front, along with a dual rear camera setup to the back. The fingerprint scanner still seems to house the power button, a design element which LG has been following since the days of LG G4. 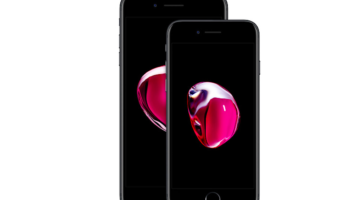 The volume rockers are present to the left side of the phone along with a separate hardware key, which might be tuned to launch AI features. But nothing is confirmed for now by LG officially. Talking about the rumoured specifications, the G7 ThinQ will be the first smartphone from the company to feature a f/1.5 aperture, which means that it will deliver better low-light performance. The LG V30 was the first smartphone to come out with the f/1.6 aperture on a smartphone, which was later followed by Huawei and Samsung. The smartphone will be powered by the Qualcomm Snapdragon 845 SoC and might come with up to 6GB of RAM, 128GB of internal storage. 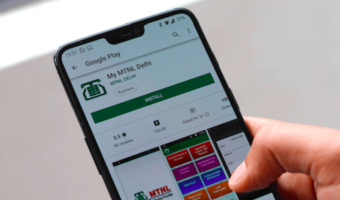 The Indian launch of the smartphone is unknown at the moment, but it might happen some time at the end of May or early June.